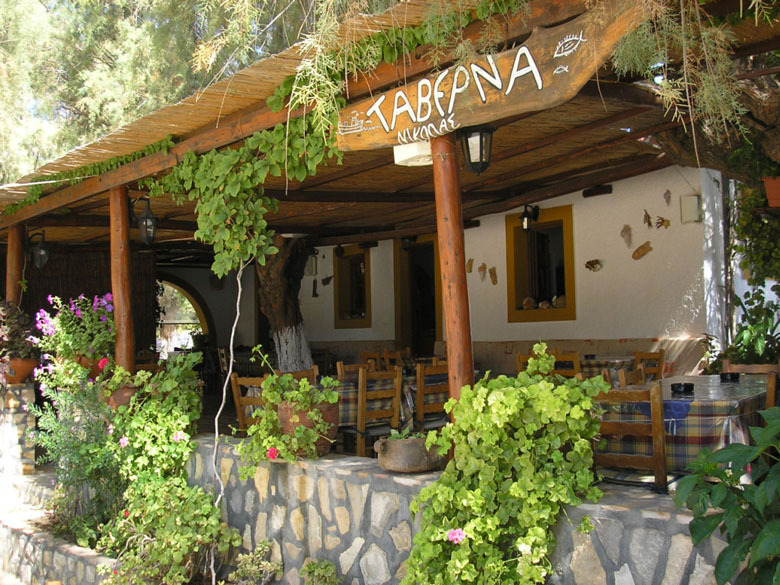 In our tavern You can taste the best Greek delicacies. Most often ordered local dishes are prepared with the greatest precision and passion. Among the most famous dishes in our kitchen You can try local cheese called ksinomizitra produced on island as well as fishes caught up by our fishermen, for example fresh sea food, squids, octopuses or the lobsters as well as many different delicacies of our region such as fresh fishes. Among dishes with meat that we can offer You will be pleased with the local lamb and goat, prepared according to a secret recipe of our cook - Maria. On the dessert we can recommend famous in whole Greece lemon cake (lemonopita), as well as chocolate sweetness - biskoto gliko. Traditional Greek music makes pleasant atmosphere during eating and drinking. You should try a glass of ouzo in the evening, to feel the power of traditional Greek dances.